14ymedio, Zunilda Mata, Havana, 30 November 2016 – Cuba’s official press and, oddly, a good part of the international media, never stop repeating that Fidel Castro brought Cubans free education and healthcare for all. Cuba was already, however, one of the most developed countries on the continent before the Revolution, much more so even than some European countries such as Spain. Currently, the healthcare system is in a calamitous state since the USSR and Venezuela suspended their enormous subsidies for Havana, and education, despite being universal and free, is totally at the service of an ideology. These are the 13 most notorious failures of the last 57 years, all attributable to the Maximum Leader. One of Fidel Castro’s first promises in 1959 was to drain the Zapata Swamp, the largest wetland in the Caribbean islands, and to use it for planting rice. After investing substantial resources and mobilizing a large labor force, the project was abandoned. The failure of this idea of Castro’s was fortunate for the ecosystem, and today the area is included in the National System of Protected Areas and is a breeding ground with more than 10,000 rhombifer crocodiles, a species native to Cuba. A natural resource that would have been lost with the expansion of agricultural crops. In a public speech in the sixties, Castro said that in a short time there would not be a single marabou bush to be found anywhere on the island. Five decades later, the advance of this invasive plant has hampered agriculture to the point that his brother Raul re-issued the promise in a speech in July of 2007, during the annual commemoration ceremony for the assault on the Moncada Baracks, but the problem remains unresolved. 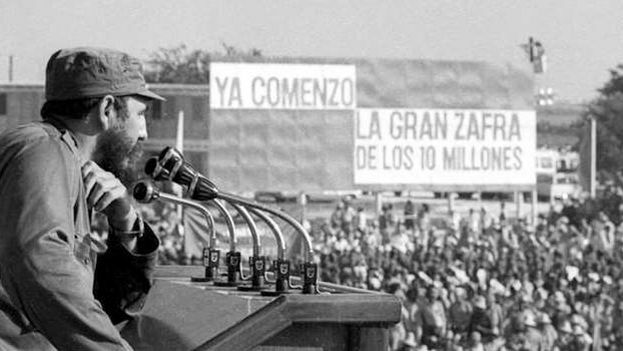 In the early sixties Fidel Castro promised that milk production in Cuba would be so great that although the population was expected to triple, Cubans would not be able to consume all the milk that was going to be produced. Currently, milk is a rationed product distributed only to children under seven (and those with special medical needs), who receive a kilogram of powdered milk every ten days. In 2007, Raul Castro expressed a desire that all Cubans would be able to “drink a glass of milk” every morning. The October Crisis, also known as the Missile Crisis, represented a major defeat for the Maximum Leader, when the Soviets ignored him and made an agreement with the United States to withdraw their nuclear arms without considering his opinion. The Cuban people were barely aware of how close they came to perishing in a global cataclysm. In the streets of the island people chanted, “If they come, they stay,” and “Nikita, pansy, what is given isn’t taken back,” (in a rhyming version in the original Spanish), an allusion to the withdrawal of the warheads. Starting in late 1968 the island began preparing for a 10 million ton sugar harvest in 1970, but managed to produce only 8.5 million tons. The country turned its entire attention to the cane cutting, with the end of year holidays suspended to concentrate on harvesting and sugar production. The economy was left in ruins, fields dedicated to other crops were turned over to sugar, and the damages to the environment were never revealed. The Alamar neighborhood to the east of the capital, built through a system of microbrigades – people diverted from their normal workplaces to construction brigades – was exposed as the Cuban model of socialist architecture. In Alamar’s concrete blocks would live the “New Man,” an individual without ambitions who would know nothing of markets or exploitation. Today the Alamar apartments represent the lowest price point in the capital’s housing market. Not only for their architectural ugliness, but because this bedroom community lacks an adequate cultural, economic and commercial infrastructure. In the late seventies it was planned that the Isle of Youth would be Cuba’s first communist territory. Experiments were established to eliminate money and extend free goods and services. Numerous schools were built to welcome students on fellowships from 37 countries. Today most of these schools are abandoned, their hallways and classrooms overrun by vegetation. The genetically superior cow was one of the most persistent obsessions of the Comandante en Jefe. Crossing Holsteins with native cattle would create the F-1 and later F-2 animals that would guarantee the national cattle herd. The emblematic animal of this project was a single cow named White Udder, which set several records, producing more than 100 liters of milk a day. The year 2015 closed with slightly more than 4 million cows on the island, almost two million fewer than in 1958, while the population had doubled. 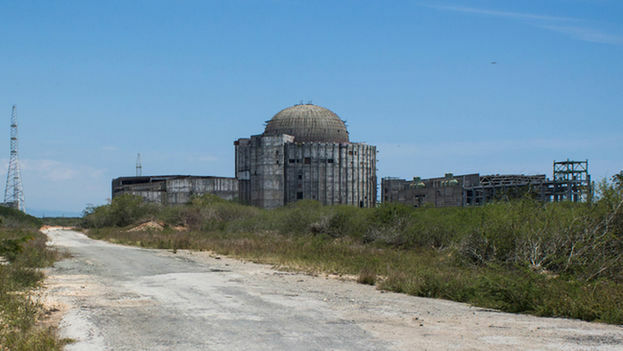 The Juragua nuclear power plant, in Cienfuegos province, was proclaimed the “work of the century” in Cuba, but never completed. The project started in 1982 with technical and financial support from the Soviet Union, and was to have four Russian VVER reactors, with a capacity of 440 megawatts each, which should have become operational between 1995 and 1996. After the disappearance if the USSR, the project was paralyzed for lack of financial resources. The works were 50% complete at that time, with an investment of some 1.1 billion dollars. As a solution to the food shortages of the Special Period, the so-called Food Plan was launched. Thousands of Cubans were mobilized to agricultural camps to produce, in particular, the so-called “microjet” banana. With a system of intensive irrigation they were planted as a solution to increase the food supply, but the costs of production and the low quality of the bananas ruined the plan. In the environment of the “Battle of Ideas,” the idea was generated to create a social worker initiative, a kind of “Red Guards” of the Revolution who were assigned multiple tasks. They distributed energy-saving light bulbs during the so-called Energy revolution, controlled the sale of gasoline at gas stations, but also served as the shock troops in acts of repudiation against dissidents or ideological reaffirmation. With the coming to power of Raul Castro, they were demobilized and many of them ended up joining the ranks of the Ministry of the Interior.